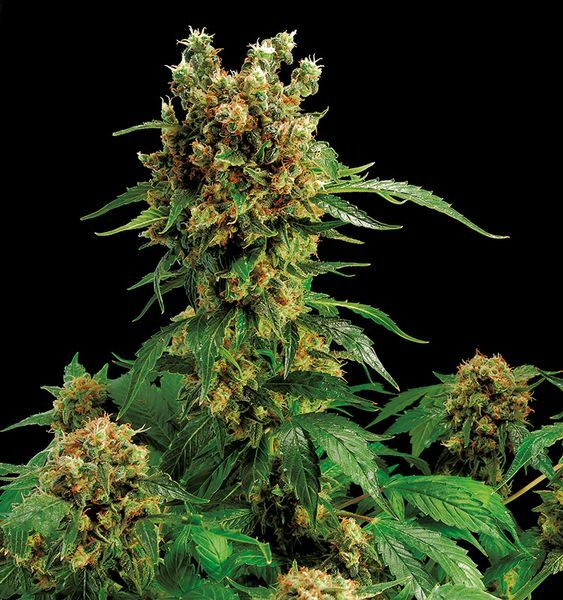 California Hash Plant cannabis seeds by Dinafem Seeds belong to a feminized Indica-dominant cannabis strain obtained by crossing a California Hash Plant and a Northern Lights. The aim was to create a high-quality stable hybrid that Indica lovers could cultivate in cold, humid areas. Resistant to tough weather conditions and offering the possibility to obtain excellent home-made resin extractions, this cannabis seed boasts several advantages. It grows into a wonderful, fast-flowering, easy-to-grow, small, compact, vigorous marijuana plant that yields thick, compact buds covered in a thick coat of trichomes.